Laura McAlduff is a professional pet dog trainer. That means that she specializes in helping guardians teach their dogs how to behave appropriately at home, on walks and at the park. She has been certified by two training schools (Good Dog Academy and Sirius Dog Training Academy)​ and has a diploma in Animal Behaviour Science and Technology from the Companion Animal Sciences Institute. She has experience working with dogs of all breeds, types, ages and sizes. She believes that dogs are capable of learning anything that you are capable of teaching them, and that the most important thing is to set realistic goals and timelines. Bad dogs and good dogs are in the eye of the beholder. What, exactly, is a bad dog, she wonders, if not the product of society's constantly changing standards? Laura lives with her own two "bad dogs" in Squamish, British Columbia. Why Sea to Sky Canine Training? Sea to Sky Canine was born out of experience as a frustrated dog owner. When seeking help consistently caused increased confusion and behaviour problems, Laura took matters into her own hands to get the education she needed to tackle training from the root - behaviour science. 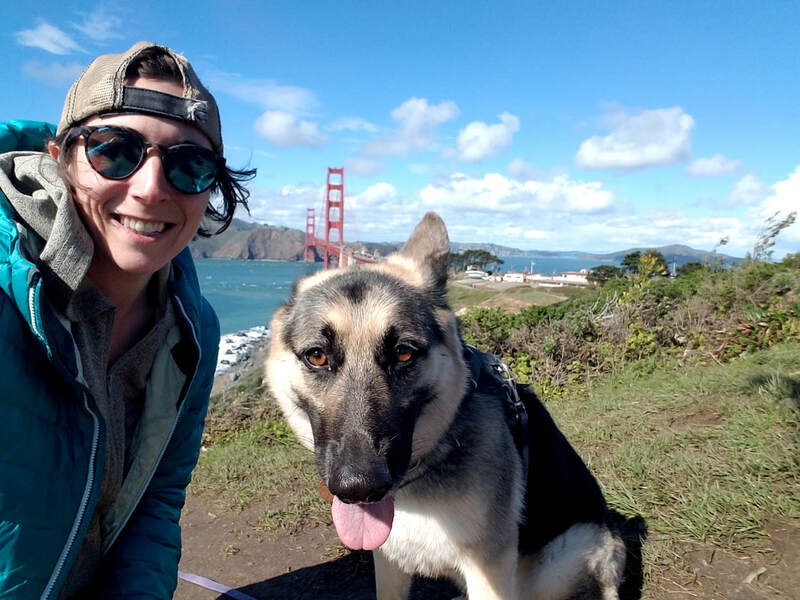 Now, Laura is passionate about helping other dog owners understand and love positive reinforcement training and how it can enrich their lives with their dogs. The road to success can be bumpy but starting off on the right foot, with the right team backing you up, makes that road a lot more enjoyable. At Sea to Sky Canine Training, we want you to first understand the source of problem behaviour, and tackle it from the root. Common misconceptions that label dogs as "dominant", "stubborn", "aggressive", etc can become huge obstacles in understanding behaviour and implementing a safe and effective training plan. By understanding where behaviours come from, we can work to prevent problem behaviours from occurring in the first place with proper socialization and consistency. In scenarios where inappropriate behaviours have already developed, we will use a combination of environmental management and positive reinforcement of appropriate behaviours to introduce proper behaviour and eliminate the problem behaviour. We will never use physical corrections in our training plans because a) they rarely work the way you want them to and b) they erode the dog/guardian bond more effectively than they train the dog to "behave".